Customer service is a central part of any restaurant. Whether the restaurant has an excellent decor and offer the most delicious meals around if the services provided do not exceed or meet the expectations of the customers, they are likely not to come back. Houston restaurants understand that retaining customers is one way of achieving success in any sector, and when a restaurant has the best service, there are high chances that it will maintain its customers. Customer service does not only occur when the customer is served food but takes place right from the time the customers enters the premise to the time they get out. When it comes to customer service experience, the customer is always right. This has been the golden rule in any business. Even when it is clear that the customer is on the wrong, it is never right to tell them so. It requires the restaurant staff to be apathetic as well as understanding and always be keen to listen to the complains and suggestions of customers. Issues will still arise regardless of the type or size of the restaurant. However, what will determine whether the customer will come back is the way the restaurant staff will handle the issue. It is essential to understand that customer quality service involves all the employees working in the restaurant. Usually, it is the front of the house staff that the customer meets, but customer service includes everybody from the cooks to the maintenance crew. Good food, clean restaurant, inviting atmosphere, friendly staff are all elements of quality customer service. As the management of a restaurant, it is essential not to do overbooking or be careful about how close the bookings are to each other. It is very upsetting for a customer to come for his meal just to be told to wait for 30 more minutes before he can get a table, yet they had a reservation. When reservations are not made correctly, it leads to filling up of the dining room which ends up putting pressure on the kitchen staff as well as leaving no room for walk-ins. In addition to this, it is significant to get feedback from the customer concerning the services they received. A restaurant manager can go around once in a meal to ask the customers how enjoyable they find everything. 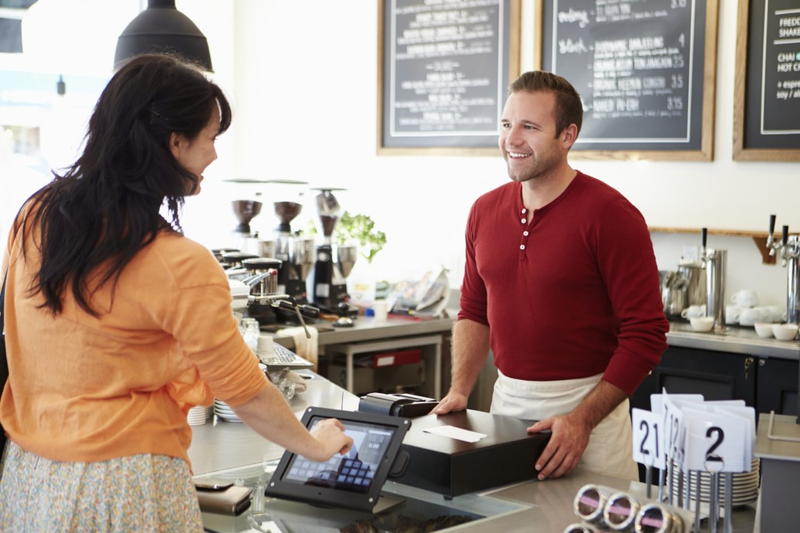 However, not all customers will be happy talking about their experiences verbally. Thus, it is essential to provide them with customer comment card where they will be able to share their experiences. Customer feedback is essential as it lets the management to know which areas to improve and those that they are excelling. Besides, the management of the restaurant must ensure that their staffs have the necessary training when it comes to customer service. When employees understand what they are supposed to, they will deliver the best services. Moreover, it is essential to award employee performance as this will motivate them even to do more. Additionally, restaurant staff must know how to handle disruptive client, which contributes to the overall customer experience. There are lots of places in Delhi that are not so popular among tourists. However, these places are rich in historical and traditional importance and are significant monuments in the city. Delhi, the capital of India is one of the ancient cities in the world and has been home to numerous dynasties and empires. It has rightly been referred to as the ‘city of cities’. As a traveler who wishes to explore the different parts the city, you should make it a point to visit some of the least visited places in Delhi. Satpula Bridge: It is one of the most remarkable monuments in Delhi. It was built during the reign of Muhammad Shah Tughlaq and was used to protest the king’s fort against the advancing enemy. Delhi War Cemetery: It is one of the prominent war cemeteries in the city and was established in the year 1951. Here, you can see the graves of Indian soldiers, as well as British and Dutch soldiers. Delhi Flower Show: Delhi Flower Show, the greatest flower exhibition in India is an international horticultural event which showcases wide range of varied and exotic flowers. Organized by the Delhi YWCA, this event is a vibrant display of wide range of beautiful flowers including hybrid species. Hosted in the sprawling gardens of Purana Qila, the flower show consists of various events like Summer Garden Competition, Dahlia Gladiolus Show, foliage plants show, and home growing competition. Sanjay Van: Those who like greenery should make a visit to the lush green Sanjay Van. It is spread across 780 acres near Mehrauli and Vasant Kunj. If you like the paranormal, you may be more interested because this place is purportedly haunted. Lots of people embark on cycling and jogging activities here in the park. Bhardwaj Lake: This is maintained by the Delhi Wildlife Department and is known for pristine beauty. It is located near Faridabad and travelers can enjoy and trekking here. It is advisable that you visit this place before evening as it is closed after 5. In order to visit these places, you would need to stay for some days in Delhi. There are lots of hotels and lodging facilities in Delhi that offer comfy accommodation at affordable rates. Australia is a vast country with a great deal of diverse history, sights and cultures that, for the first-time visitor, choosing which region to visit first, is a difficult task. South Australia is famous for its wine regions, one of which is the Barossa Valley where one of the world’s best known wines is produced. An hour’s drive from the city will take you to 60 wineries that produce some of Australia’s premium wines like Chardonnay, Riesling and Shiraz. 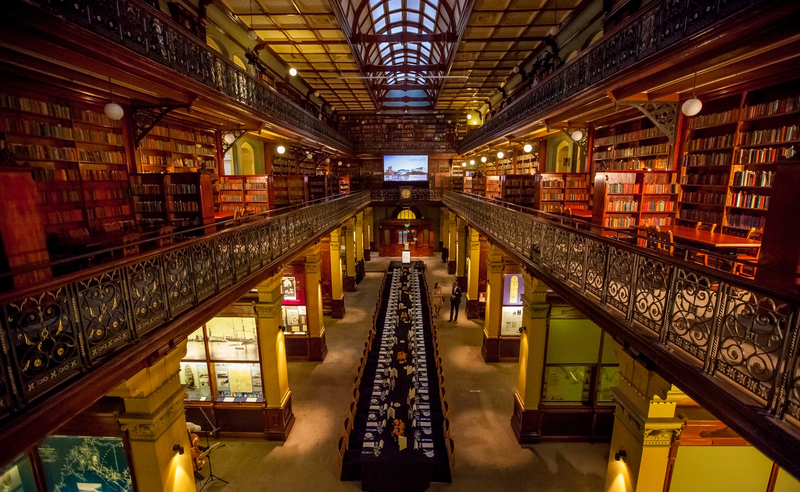 South Australia is the fourth largest state and has the fifth most populated city, Adelaide, as the capital. This city and its surrounding areas are ideal to visit any time of the year. With a Mediterranean climate, moderate rainfall and warm/hot, dry summers, this region has something to offer everyone. Although this is a busy, bustling city, with a lively bar scene, historic buildings and year-round cultural events, a short bus ride from the city centre is The Parade at Norwood, a shopper’s paradise, renowned for designer stores and pavement cafés. Fun for all the family awaits at Adelaide Zoo or the South Australian Museum with a multitude of indigenous relics. The city is nick-named ‘The City of Churches’ because of its amazing collection of different styled churches and cathedrals. A 45-minute drive from the city is one of South Australia’s best kept secrets, Fleurieu Peninsula, one of the state’s most visited places where you can swim with sharks and dolphins, or go whale watching. Beautiful beaches are synonymous with South Australia and the Adelaide ones are no exception. For a walk back in time, visit historic Semaphore Beach with rolling, sand dunes and a beachfront boulevard with its original, preserved Art Deco buildings. For a snack or even lunch, grab a ‘sarnie’ and a ‘cold one’ at an authentic 1920’s bathing pavilion, which is now a trendy eatery. The solid stone Time Ball Tower on the Esplanade is a 19th Century Icon, which at 1pm daily, drops the black ball for ships to correlate their navigational systems. Just a few metres from the popular Glenelg Beach is Moseley Square where you can treat yourself to something from one of the fashionable boutiques or the many ice cream parlours. Holdfast Shores with its picturesque marina and restaurants serving fresh, sea food, is perfect for a leisurely stroll. Many holiday companies https://www.australianluxuryescapes.com/private/adelaide/ offer eclectic types of Australian tours — walking tours, group tours and private tours that will take you anywhere in this immense country. The western Australian capital is Perth and the eastern capital Brisbane. As well as being a country, Australia is also a continent, which is known to have existed geologically over various periods of the earth’s history spanning 3.8 billion years. From east to west it is 4,030 km and from north to south 3,685 km. With so many interesting mountainous areas, rock and coral reef formations, I am sure this fascinating country still holds many secrets that have yet to be discovered. The North Fork of the American River has always been a California favorite with the only disappointment for most being when they must leave it behind. Originating in the Tahoe National Forest (Placer County), the American River flows for 120-miles to end up in the Sacramento Valley. Fed by snow melt, it’s beautifully clear waters attract tourists and water sports enthusiasts from all parts of the globe. 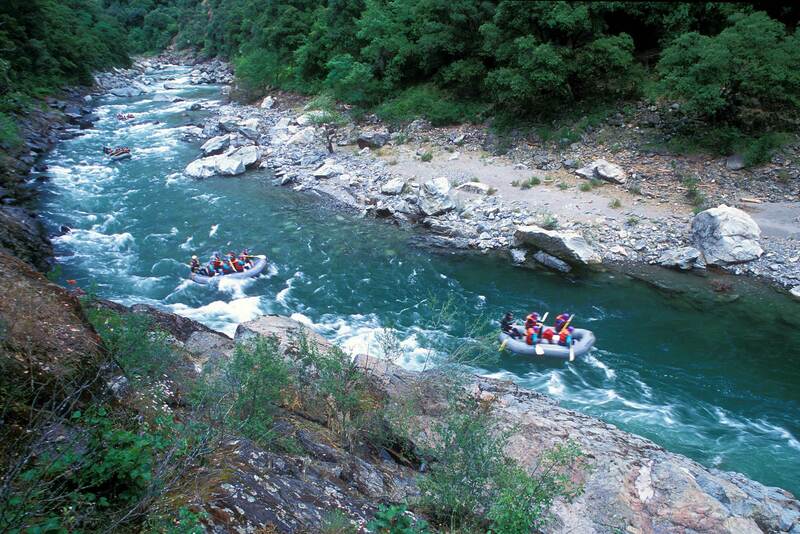 Rafting by rock walls thousands of feet high and past some of the most breathtaking scenery the U.S. has to offer is more than worth a trip to Placer County where it all begins. There is a reason so many people have fallen in love with this area, and once you’ve seen it for yourself you’ll know what it is. Just about anyone can handle a slow float in a raft. However, those without experience can still enjoy the speed of all that racing water in the company of a qualified river guide. Beautiful as it may be, the American River can be unforgiving of mistakes or inexperience. All you need to pack are personal belongings and your guide provides the rest. The Chamberlain Falls run is one of the most popular on the river. Class IV, this section has easy access to 9-miles worth of continuous whitewater. There are other runs available that include camping, but unless you include Giant Gap, the Chamberlain is only a one day run packed full of enough whitewater to satiate even the most enthusiastic rafter https://www.theamericanriver.com/ who may be short on time. When thinking of this fantastic place Majestic is a good word to use. Water falls, trees, wildflowers so bright they seem to glow, birds of all kinds, deer, mountain lions, bald eagles, and maybe even a black bear or two are just a sample of what you can expect to see https://www.rivers.gov/rivers/american-nf.php. Whether you plan to stay on dry land or get out there on the river, the North Fork area is more than worth a few photos and videos, forgetting to pack your camera is not an option. North Fork has held “Wild and Scenic” status since 1978. This helps ensure all that wild, natural beauty will still be there to enchant future generations. Try making a video of any section of whitewater before you leave, put it on a loop and make your own “nature sounds” video. As exciting as being out on the North Fork can be, finding a comfortable perch to observe it from dry land is indescribably peaceful. There is much more to the area than an awesome, challenging time on the water. It’s camping, hiking and fishing opportunities have people returning to their favorite spots year after year. You can read about it and google hundreds of pictures, but words and images only go so far. If you’re planning a visit to North Fork for any reason, prepare to be humbled and impressed. When it comes to traveling for work or for vacation, it can be a headache. Packing up all your items, hoping you don’t forget anything, trying to schedule transportation, and the list goes on and on. Before you let your next trip take you for a ride on that crazy train, you should consider implementing the tips below to make your travels effortlessly smooth. The first tip we have for you is more geared toward your mental health needs. All too often we tend to consider our sleep as the last priority while traveling. We jam pack our schedules full of exciting experiences. However, when you’re tired, experiences tend to be less exhilarating than when you’re fully rested up. So, be sure to schedule adequate time for sleep when you’re traveling. Remember, that even if you can’t fall asleep, it does help to have some necessary downtime to let your body rejuvenate. If you’ve ever lost your luggage at the airport or on the plane, you know just how irritating it can be. Going without your clothes and other necessary essentials is not fun at all. By using a luggage delivery service, you can be assured that your luggage is properly taken care of. 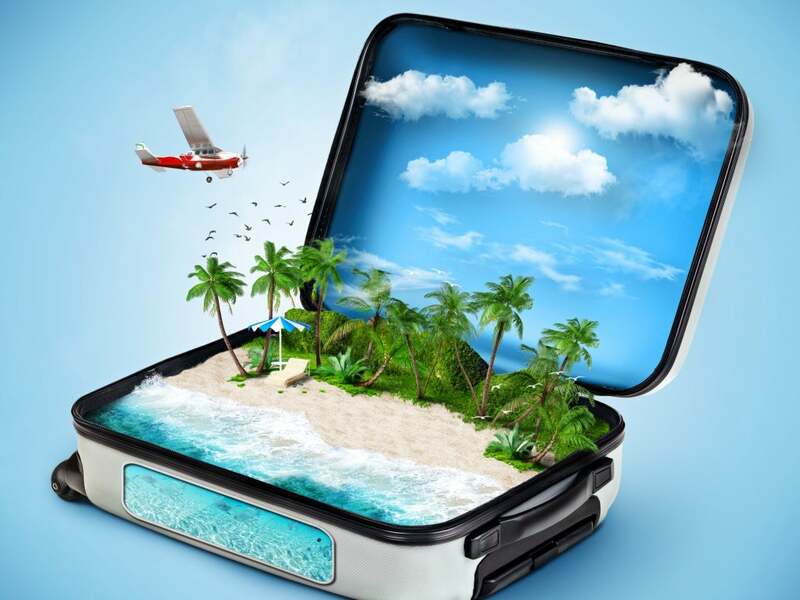 With these types of services, you don’t have to worry about items getting put on the wrong plan as luggage is their only goal for transportation. You can have your bags delivered ahead of time to the hotel to ensure they’re there when you arrive. Catching a plane at the airport may require you to drive there first. If you’re comfortable leaving your car in the parking lot during your air travels, then make sure you leave early. Many economy parking lots are off-site and require extra time for you to drop your car off safely. When you park your car, do so with the front end facing out. This will ensure helpful passer byers will be able to give you a jumpstart if your car doesn’t start up when you get back from your trip. If you don’t want to deal with the hassle of parking and leaving your car, simply call a taxi or get a ride from a friend. The last tip we must make your next traveling adventure a breeze is to think about the cash you need ahead of time. If you’re traveling within the country, then you should take out some cash before you ever get on the plane or look up surcharge-free ATMs in the region which you are visiting. It’s too easy to forget about cash until you get to your destination and find yourself paying exorbitant fees for ATM withdraws. There are many ways that you can make your traveling adventures much less of a headache. The above is just some of the easiest to implement. Realize that it all comes down to proper planning ahead of time. The more you plan out, the fewer worries you will have about unexpected hiccups in your traveling plans.